Change is never easy. And yet, the winds of change seem common in this life and work God has called us to. How are you doing through it all? Are you able to keep afloat? Or do you feel blown in directions you never meant to go? Change couldn’t have been easy for Joseph. He was jerked from his father’s household to a pit to a slave master to Potiphar’s house to jail, and, at last, to Pharoah to prevent a disaster. But did you notice? It wasn’t Joseph’s comfort God was after. It was his heart. His surrender. His faith. His faithfulness. And nations were saved because of it. What if your wind blows you in an opposite direction, taking you away from where you thought God wanted you to go? What then? Jesus is still Lord of the Storm. Matthew 8:22-25, Isaiah 51:12-16, Psalm 77:16-19, 65:5-8, 89:9. Whatever changes are happening in your life that feel out of control, they’re not. Your Creator Who loves you and created you for Himself knows exactly what He’s doing. He’s showing you something about Himself. He’s birthing something new. He’s bringing in a new season of your life. He’s giving you a rest you’ve been too busy to take. He’s forming new gifts in you. He’s teaching you to lean on Him to do what is impossible without Him. He’s training you for battles yet to come. He’s asking for your surrender. He’s freeing you up to do something He hasn’t shown you yet…. But whatever God is doing, He’s always drawing you to Himself. 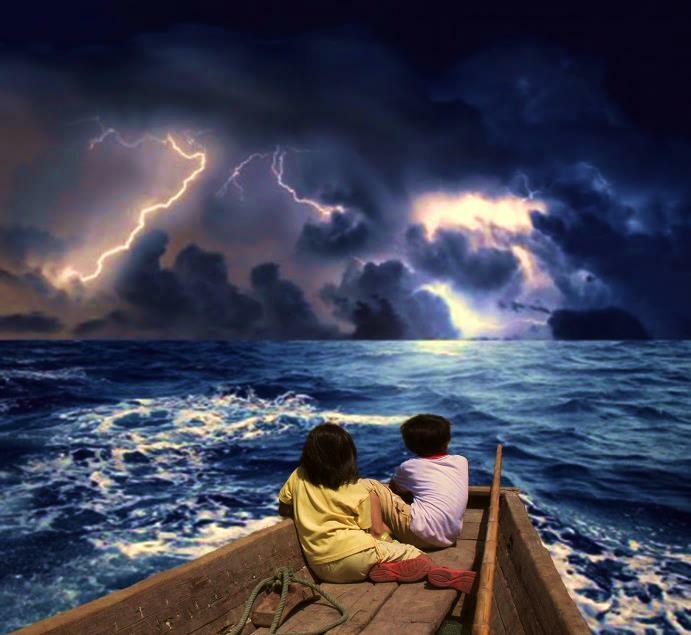 Do you remember where Jesus was while the storm raged and His disciples struggled to keep the boat afloat? He was sleeping. Mark 4:35-41. First He slept, and then He got up to calm the storm. As the winds and waves toss your boat these days, where are you? Are you running around bailing water just as fast as you can? Are you crying out to Jesus to rescue you from out of this mess? Or are you sleeping in the bottom of the boat, curled up on a cushion with the One Who has it all under control? Take time today to rest in Jesus’ arms, surrendering your storm to the One Who already knows where He’s taking you.